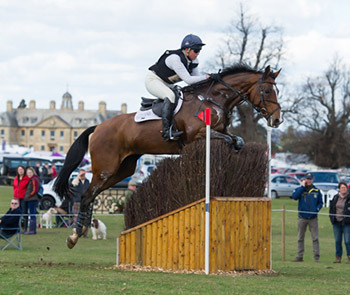 Michael came to prominence aged 21 when he made his four-star debut at Burghley (2000) with Perks of the Job who he acquired when he was 17 and brought through the levels from a five-year-old. With Perks of the Job he made his Badminton debut aged 23 in 2002. He then acquired the six-year-old King Bob who he rode to four-star level and then sold. In February 2010 Michael made his racing debut a winning one, when winning an Amateur riders handicap at Wolverhampton with Albero Di Giuda. In 2011 he was double clear at Badminton on The Highland Prince which he produced as a 5 year old. They then jumped clear around Burghley 3 times and were placed in two of those. They also won the CCI*** at Ballindenisk in 2016. Don’t miss the fantastic opportunity!